Life advice from the director and author of 'The Hate You Give'! Plus Duryan makes it official! It's another Friday party podcast! 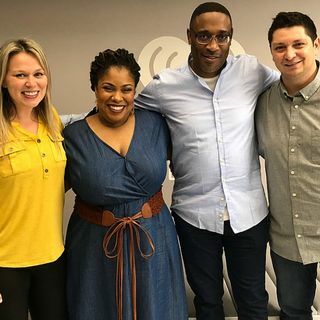 Life and career advice from George Tillman Jr. (Soul Food, Men of Honor, The Hate You Give), New York Times best selling author Angie Thomas (The Hate You Give)! Evan Ross ghosts us, Duryan makes it official, Dan yells at PK, and more! What a podcast. No Evan Ross? Oh Well--see you guys next week! Have a great Weekend Everyone! HAY PK>>>DK>>> I sent ya some videos . What.? Who can possibly hate Denise? ?what is wrong with that lady? @Brent--what was wrong with yesterday's podcast?